At Seikatsu Kakumei, through Aqura Home and Saitama Prefecture, we’ve already had the chance to accumulate Pepper presentation technology and operational know-how. This time, at Saitama Prefecture’s famous private middle and high school, Jouhoku Saitama’s school information fair, we will be giving presentations in the coming year. With the number of attendees estimated between 200 and 1000, our company’s presentation software development and stable technology operation was requested. The Pepper unit arrangement is being made through our company’s Pepper rental. Through this, our company hopes to accumulate even more Pepper presentation software development technology and operational know-how. If you have an interest in Pepper rentals, presentation and application development, and/or event operation, please be sure to contact us. Below is the content of the press release. School Administration Jouhoku Saitama Middle and High School (Location: Kawagoe, Saitama, Chairman: Fumihiko Kondo, below as Jouhoku Saitama) is, as a first for a Japanese private middle school, implementing use of the emotion recognizing humanoid robot Pepper in its school information fair on May 23, 2015. Additionally, Pepper’s part of the stage performance, planning, development, operation, etc. is being hosted by Seikatsu Kakumei, LLC. (Headquarters: Saitama City, Saitama Prefecture, CEO: Yuukou Miyazawa, below as Seikatsu Kakumei). Pepper is SoftBank Mobile’s first commercially sold emotion recognition humanoid robot. Sold sequentially from September 2014 to developers and the like, its cute appearance and distinctive character have made it a Monday to Friday regular on TV Tokyo series Ohasuta645. Frequently appearing as a host of various TV commercials and such, it is experiencing success as a humanoid robot and currently a popular topic in Japan. The authentic commercial robot Pepper appeared in 2014. Presented by METI as a new robot strategy in January 2015, the service industry (including education) was announced as a priority facing the year 2020. Momentum is building for places of education to transform even further using robots. Jouhoku Saitama has also taken the chance to catch onto this trend, as part of the trials involved in adapting to this change, starting the country’s first private school information fair using Pepper. 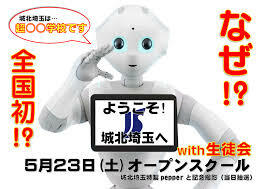 From May 23, for a limited time until entrance exam season, at the school information fair held for new students for 2016, Pepper will be hosting part of the presentation. As for Pepper stage dispatch, planning, development, and operations host Seikatsu Kakumei, discussions are also taking place for further upcoming opportunities to use Pepper in places of education. As for Jouhoku Saitama and Seikatsu Kakumei, referring to Seikatsu Kakumei’s past experiences in Pepper usage cases, the following points came to attention: Pepper’s charm, derived from its robot features, (1) accurate explanation (not overreaching), and (2) third person point of view (so that an objective explanation from someone unaffiliated with the school is possible), as well as Pepper’s distinctive cute, yet intelligent and advanced feeling character as a narrator (regardless of the mood, it can bring fun). As a way of capturing and utilizing this appeal that humans don’t have, a Pepper presentation at a school information fair seemed effective. When Pepper introduces the school’s good points and appeal, it is expected as a narrator to more deeply convey the school’s appeal to parents and children than a conventional school information fair speaker would. Additionally, after the information fair, the provision of a commemorative photo taking corner with Pepper is planned for the parents and children. While enjoying simple conversations with Pepper and taking photos, visions are deepened for future prospects of the parents and children, and, at the same time, a chance is presented to verify the relationship between robots and humans facing issues from here onwards. *As for details of the upcoming schedule, a sequential release is planned on the Facebook page below. Seikatsu Kakumei is a smart device software company which advocates “enhancing human lifestyles through robotics” and “creating humans who can’t lose to the advancement of robot intelligence”. As a Pepper robot software business, using the robot Pepper in ways ranging from companies’ operation and product issues to Pepper robot usage proposals, to basic planning and development, to local event Pepper operations, it has become a very popular business. 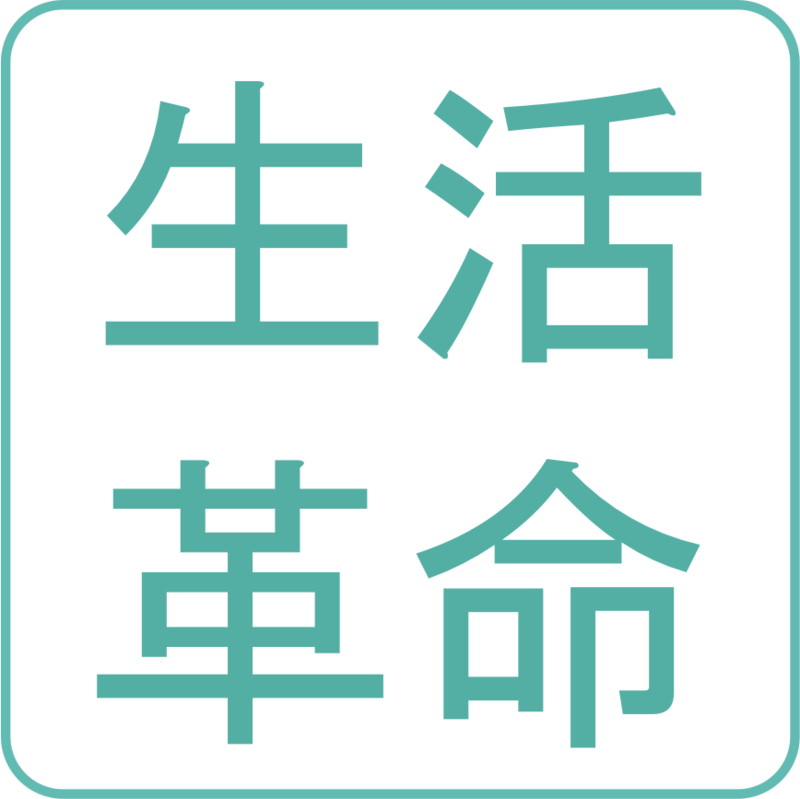 Company Name : Seikatsu Kakumei, LLC. *The information contained in this release is accurate as of the date it was originally published. Please be aware that it may be subject to change at any time without notice.